Subphylum chelicerata is a well-known phylum including horseshoe crabs, sea spiders, and arachnids. They are all under the phylum arthropod in the kingdom animalia. 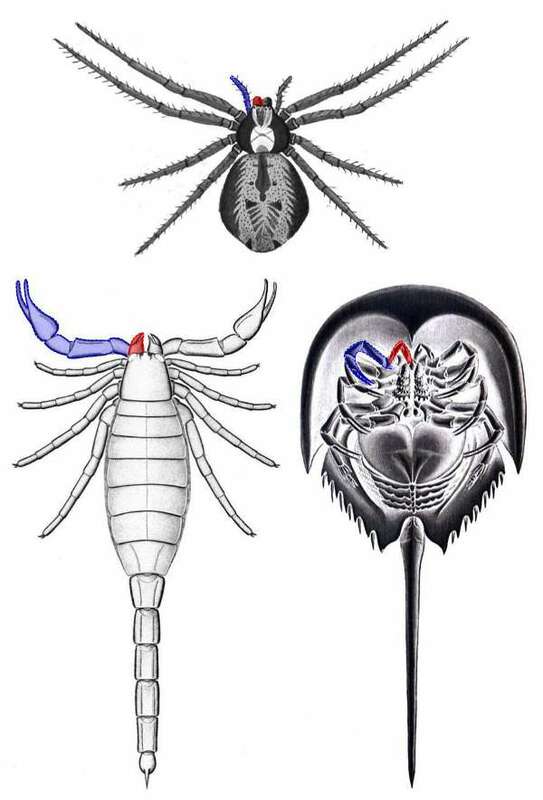 Some of the common physical features that all the chelicerata have are: segmented bodies, covered in a cuticle, and have chelicerae, which are the only mouthparts before the mouth. However when it comes to looking at behaviors there is much diversity between the classes in subphylum chelicerata. So in order to look at the behavior we will have to break the classes apart and then look specifically at the orders within each class. The class pycnogonida only has one order within in it to look at, and that order is the pantopoda. 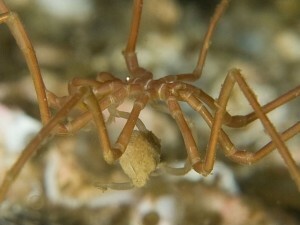 The pantopoda are more commonly known as sea spiders. As the name implies these organisms live in the water, however they are not spiders. These wacky looking pantopoda are stringy legged creatures that live in the ocean. They normally walk along anemones and coral reefs marching along on their strange legs and eating prey as they move. However some Sea spiders are good swimmers and can travel far distances to find food. When pantopoda eat their food is often eaten by sucking the insides out of the prey with a proboscis. These organisms have interesting mating behaviors. The men do external fertilization then they collect the eggs and carry them on their body using special sticky glue they can produce. Eurypterida are commonly known as sea scorpions. This is an extinct group of organisms that were highly diverse during the Paleozoic era. They are compared to scorpions because they have two large swimming legs that resemble the claws that we see in many types of scorpions. 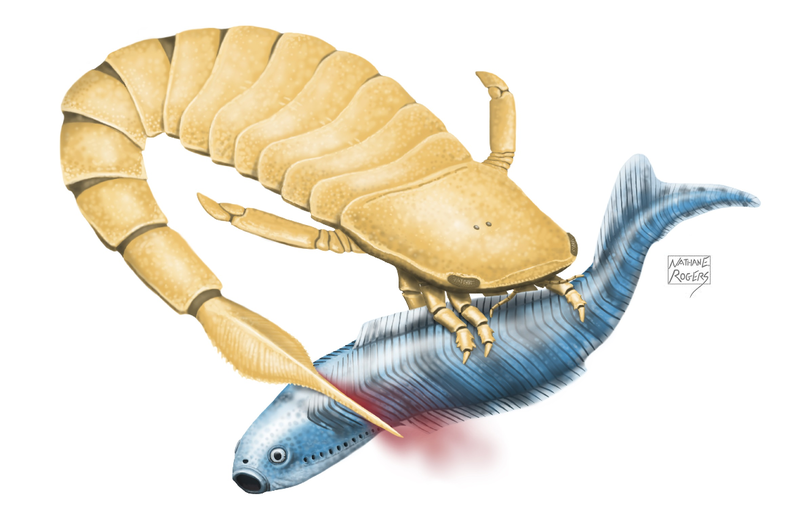 While most eurypterida were aquatic there is evidence that suggests that there might have been some species that were amphibious. These species have been hypothesized as possibly having part of their life cycle on land and the other part in the water. It is thought by scientist that many of their behavioral habits were similar to there closest class relatives the xiphosura. Xiphosura are an order of mostly extinct marine animals. 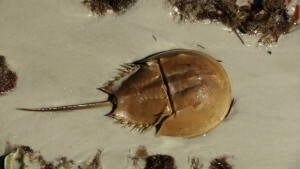 One of the most well known xiphosura that is still alive is the horseshoe crab. One of the interesting behaviors that the horseshoe crab does is how it protects its self. They use their dorsal plates to ding into the sand or mud and cover themselves to remain hidden. They spend most of their life sifting threw the sand and finding small crustaceans and worms to eat. Xiphosura have an interesting behavior when eating as well. They have to push their food down to their mouths using specialized chelicera. They have to grind the food down before eating so they walk around with the food in between bristles before finally moving the food to their mouths. 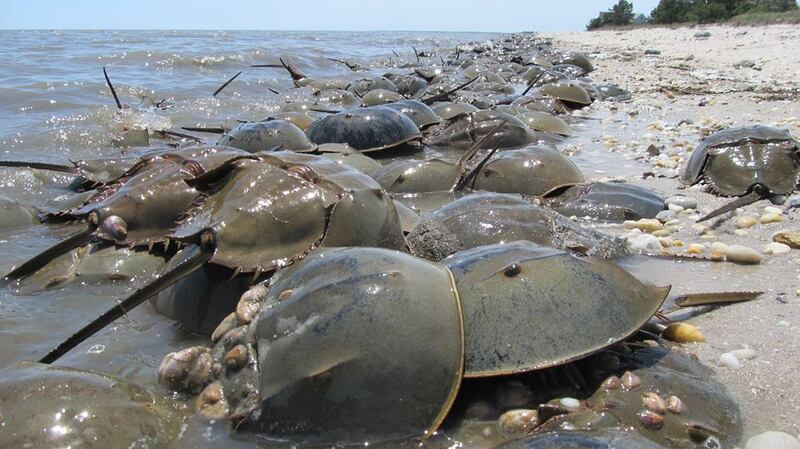 One of the most well known behaviors of horseshoe crabs is their yearly migration. As a large army they all march to warm shallow waters to lay their eggs and then begin their way home. There are many different orders of Arachnida in the world and it is the most prevalent of all the classes in subphylum chelicerata. Due to all this diversity it is imperative to look at each order to see specific behavior aspects. Order Acari are well known and also well hated. This group is commonly known as ticks and mites. These tiny creatures are mostly parasitic and tend to inhabit the external skin of their hosts. We as humans tend not to like them because they spread diseases and normally predated on humans and animals. Not all ticks and mites are parasitic however. Many species in Subclass Acari feed on arthropods and some are detririvores. Ticks that are parasytic in particular have an interesting behavior known as questing. This is the process where a tick climbs onto some vegetation and waits with its claws out stretched. Then when a possible host brushes by it clings on. Ticks cannot jump so they must to this form of seeking to find a host to feed from. 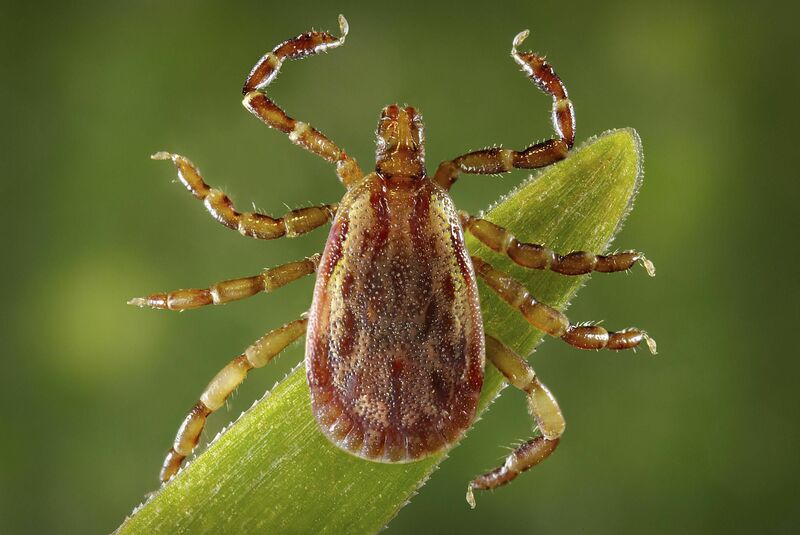 In addition to questing the spots that the tick sets up to wait is dictated by chemical cues from other ticks. This meaning that ticks and also mites are able to communicate via chemicals. 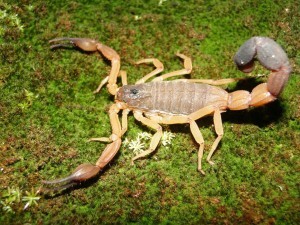 Scorpiones is the order name for our commonly known creatures scorpions. Scorpions have a plethora of different interesting behaviors. One behavior is their elaborate courting. The male and the female dance holding pedipalps as they move back and forth until the right destination is found to copulate. Another interesting behavior that scorpions do is debatably something they don’t even know is happening. 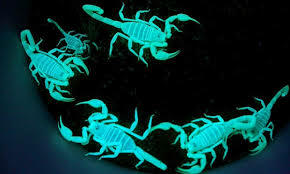 Scorpions glow under ultraviolet lights when the lights are shined on their hardened cuticle. However they do not light up when they have recently shed an they still have their soft bodies. And thirdly scorpions show the interesting behavior of eating just about everything they can get their hands on. They will prey upon any creature from insects to small rodents. They also can sometimes eat their own young if the resources are scarce in their area. They have interesting hunting behaviour that can only be observed at night. During the evenings scorpions tend to move to more open area however they are lay in weight predators. They do not fallow their prey they instead wait till possible prey gets close. 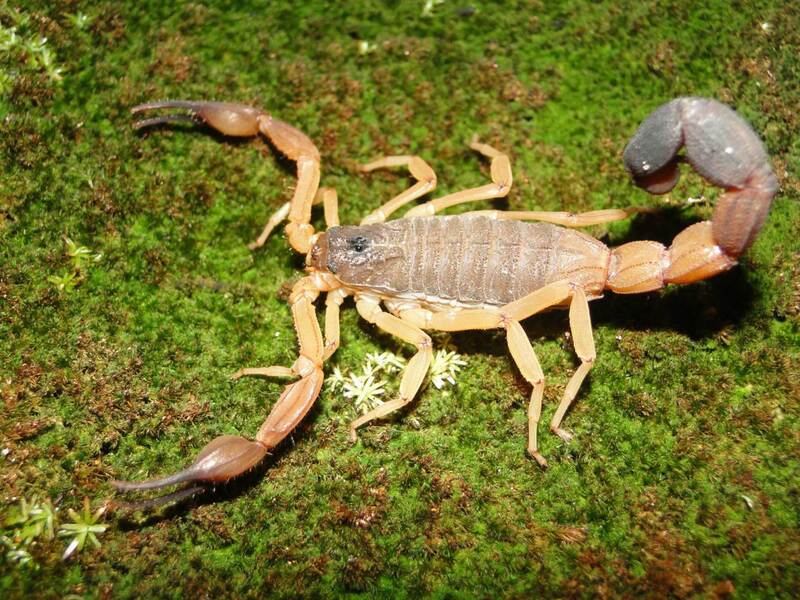 Scorpions do not discriminate by size for food. If the creature is smaller they will grab with their pincers then pierce with their tails. However for bigger prey they will turn their bodies so their tails are the closest to the prey. 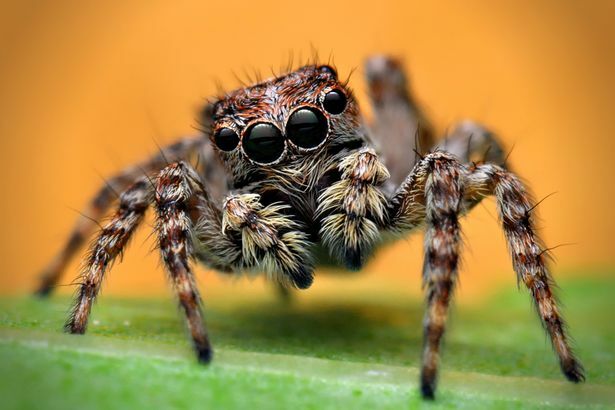 Araneae are better known as spiders and there are over 46,000 species on this planet. With this many species it would be hard to explain behaviors that all spiders have. So for most of the bevaviors that I will be writing about there will always be some exceptions. The first interesting behavior that spiders have is the ability to produce silk. Silk is used in many different important aspects in the spider’s life. 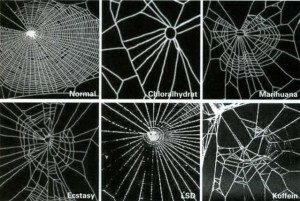 Some of these include web building and to create a way to hold air underwater. Speaking of webs the behavior of spiders when they make their web can be affected by their environment and their food sources. 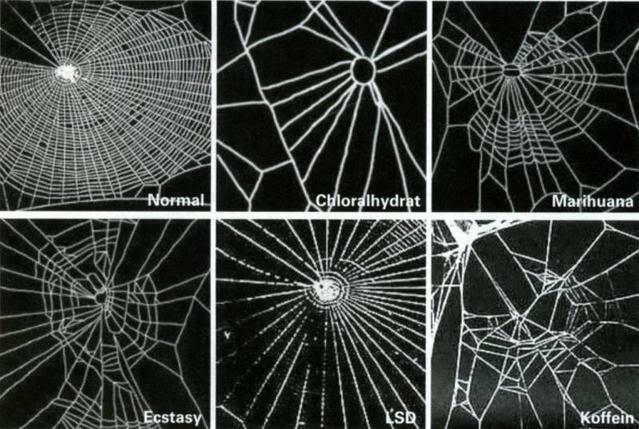 There was a study that showed spiders on different drugs behave different and create different types of webs. There are many different behaviors when it comes to catching prey. Many spiders are sit and wait predators who hide until their prey gets trapped in their web or until prey moves close enough to pounce on. Some spiders do not use webs and are active hunters. There have been documented encounters with spiders that wait at high points like on walls and when their prey wonders by they drop down onto them. Spiders are by far my favourite order out of all the chelicerata. They are helpful in their feeding by eating pest bugs, they are interesting to research, and they have so much variety that we can find new ones all the time! Below I added a few videos about how cool spiders are. A man with a strange relationship with spiders. This entry was posted in Chelicerata. Bookmark the permalink.